Was there any doubt that Square Enix's latest Final Fantasy spin-off cash-in would do gangbuster business in Japan? If so, Dissidia Final Fantasy's debut on the Media Create sales charts should erase those doubts. The fan service filled fighter for the PlayStation Portable moved almost a half-million units in its first week on the charts, soundly beating Gundam Musou 2 for the PlayStation 3 by a ratio of more than two to one. 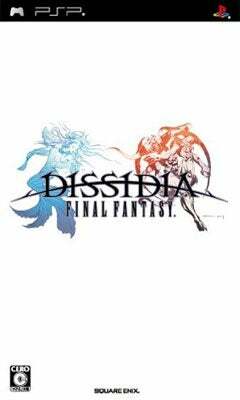 And at 6,090 yen, Dissidia's not on the cheaper end of PSP games. Yes, Square Enix made itself some money. Some good news for Sony was that Gundam Musou 2 landed at number two on the PS3, with the Xbox 360 version failing to make a top thirty appearance. Fable II did, however, but at the 23rd spot.